Few industrialists inspire as much respect and awe as do Juggilal and Kamlapat Singhania, whose indomitable will and patriotic zeal saw them meet every challenge to set up the iconic Juggilal-Kamlapat Cotton Spinning & Weaving Mills in 1921 that was to lay the foundations of the mammoth JK Organisation which still remains one of the largest names of Indian industry. MARWAR dedicates this tribute to the father-son duo, who continue to be celebrated as its larger-than-life architects. When Juggilal took over the family business in late nineteenth century, the Singhanias already had been successful bankers-traders for almost a century. When his son Kamlapat came of age and joined hands with his father, the Swadeshi Movement was sweeping through the nation. The turbulent times, combined with his nationalistic leanings, his desire to start a textile mill and thereby contribute to the growth of Indian industry produced an unusual set of challenges, to stem which one needed raw courage, huge risk appetite and extraordinary business acumen. Juggilal and Kamlapat possessed all of these, wherein lay their greatness, which in no measure was less that of their illustrious forefathers. The Singhanias’ entrepreneurial antecedents date so far back that in most part they remain lost in the mists of time. Fragments of those early years and the story of their rise as an industrial behemoth, however, survive in family narratives* but for which this tribute story would not have been possible. The Singhanias’ epic journey to fame, fortune and entrepreneurial success began when patriarch Vinodi Das Singhania (as per genealogical records available at the JK Temple, Kanpur) left home in Singhana, a little town in the Jhunjhunu district of Rajasthan, in 1775, to resettle in Farrukhabad, a small business town near Cawnpore (now Kanpur). Incidentally, this was also the time The East India Company was beginning to set shop in Cawnpore. In Farrukhabad, Vinodi Das started off as a Mahajani banker (an ancient system of banking run by mahajans/sahukars), proving his mettle by prospering quickly and diversifying into trading. By the time his sons, Ramsukhdas and Sarbsukhdas, joined the family business, it had grown so big that the brothers were able to open branch offices in Cawnpore, Calcutta (now Kolkata), Benares (now Varanasi) and Mirzapur. 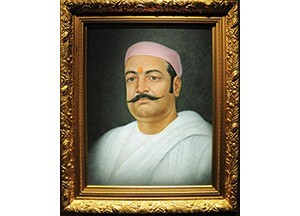 After Ramsukhdas and Sarbsukhdas, the business passed on to the able hands of Ramsukhdas’ son, Sewaram, who despite the Sepoy Mutiny of 1857 (which had started in Cawnpore and then spread to the rest of the country) was not merely able to coast through the turbulent times but even prosper, occasioning a formal celebration of the firm’s successes in 1862. Baldeodas, son of Sewaram and the next to take over the family business, took it to greater heights together with his brother Munnalal. The family also grew in social eminence under him, earning him a ‘Rajah Sahib’ title. Baldeodas had six sons. Among them was Juggilal (born in 1857), who was to hold the reins of the family business after Baldeodas and play a pivotal role in transforming the Singhanias from bankers/traders to industrialists. Actually the winds of change had already started blowing by the time Juggilal took control of the family business (then known as Messrs Baijnath-Ramnath), which owned an oil mill and a distillery, among other assets, and had offices in Etawah, Agra, Calcutta, Delhi, Amritsar and Karachi (now in Pakistan). Given their reputation and growing influence as businessmen and bankers, the Singhanias started to feel the need to shift to Cawnpore, which by then had developed into a major industrial hub (so much so that it had earned the sobriquet ‘Manchester of the East’). In fact, by the time Juggilal had entrenched himself into the family business, his visits to Cawnpore had become so frequent that it necessitated a permanent residence in the city. To this end, the Singhanias bought a large house (called Kothi), opposite which a family temple (dedicated to Lord Dwarkadheesh) was built in 1884, together with two other temples, one dedicated to Lord Shiva and another to the family deity. The year 1884 is a landmark in the annals of the Singhanias’ entrepreneurial history, it being the year when Juggilal’s son Kamlapat was born, whose active involvement in the Swadeshi Movement was to earn him the respect of both his family and countrymen and whose entrepreneurial drive was to lead to the foundation of JK Spinning and Weaving Mills in pre-Independence India (with, of course, father Juggilal’s help and guidance). In 1905, Juggilal and his family shifted to their Cawnpore house (Kothi) after a division in the family business which then owned two flour mills—the Ganges Flour Mill and Cawnpore Flour Mill—apart from being the sole selling agents for Elgin Mills, Cawnpore Cotton Mills and Victoria Mills. The division created two new business units: Baldeodas-Kedarnath and Baijnath-Juggilal. The same year (1905), the Singhania household was to celebrate the momentous occasion of the birth of Kamlapat’s first son, Padampat (after three daughters in succession). Kamlapat’s wife, Rampiyari Devi, was to subsequently give birth to two more sons: Kailashpat and Lakshmipat. Meanwhile, the family business diversified from money-lending and hundi operations to trading in cotton, sugar cane and pulses. It was also the sole selling agent for several textile mills and was a major importer of British textiles. In 1918, the business was split up amongst brothers Kamlapat, Banke Bihari and Radha Kishan, with Kamlapat getting the family house (Kothi) and some cash as his share. With these as his only resources, re-establishing himself as a businessman seemed an uphill task. But ambitious that he was and a visionary as well, he contemplated starting a cotton mill on his own—as opposed to being selling agents for established mills, as the Singhanias had been until then. Setting up a mill, however, was easier said than done in view of the restrictive industrial environment of the day, with an inimical British thwarting every effort on the part of Indians to set up a native industry. But undeterred, Kamlapat procured a loan to supplement his financial resources, which together with his father’s contributions catalysed the foundation of the Juggilal Kamlapat Cotton Spinning & Weaving Mills in 1921, marking the beginning of the Singhanias’ journey as industrialists. Juggilal breathed his last soon after in 1922. JK Cotton Spinning & Weaving Mills produced high quality cotton cloth and yarn and was a runaway success. Emboldened, Kamlapat went on a growth overdrive, setting up a slew of mills. Starting with Kamla Ice Factory in 1921, he went on to launch JK Oil Mills in 1924, JK Hosiery Factory in 1929, JK Jute Mills in 1931, MP Sugar Mills in 1932, JK Cotton Manufacturers Ltd in 1933 and JK Iron & Steel Co Ltd in 1934. To house the offices of these companies, a new building opposite the existing Singhania residence (Kothi) was built in 1934, which was named Kamla Tower, a grand edifice that to this day remains a prominent landmark of Kanpur. In all these initiatives, the nationalistic fervour ran deep. This was because Kamlapat’s acquaintance with stalwarts of the Freedom Movement such as Madan Mohan Malaviya, Lokmanya Gangadhar Tilak, Mahatma Gandhi and Motilal Nehru had not only awakened his patriotic spirit but also fostered a deep sense of nationalism in him. In response to the call for the Swadeshi Movement, not only did he boycott and burn his entire stock of British goods but also resolved to set up his factories and mills with Indian capital, Indian management and Indian workforce. 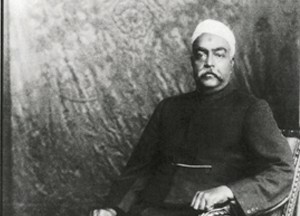 Further, he founded the Merchants Chamber of Commerce of Uttar Pradesh and after Independence was nominated to the Constituent Assembly of India. Meanwhile, on the domestic front, the Singhania household felt it was time to move into separate homes as the different branches of the family had each grown considerably large. Consequently, in 1935, Kamlapat together with his wife and sons and their families moved into a newly-constructed 20-acre bungalow near the Ganges called Ganga Kuti. A second 22-acre property was purchased simultaneously from an Englishman, which was named Kamla Retreat. Kamlapat breathed his last in 1937, leaving behind an enormous inheritance for his three sons—Padampat, Kailashpat and Lakshmipat—who, by then had imbibed the business acumen of their predecessors well enough to ably hold the reins of the JK business empire, especially Padampat, who stepped into his late father’s shoes with relative ease. Padampat, however, was not well-educated, having pursued academics only until the fifth standard. He, however, was well-versed in the traditional Marwari methods of conducting business. But the fiery zeal in him to grow and succeed wouldn’t let him be until he overcame all personal shortcomings. To this end, through personal initiative he enhanced his formal learning and imbibed knowledge from books, journals and personal interactions about managing businesses, about government policies and regulations, company practices and the like—in short, everything necessary to meet challenges and take the family business forward. Close behind him in this endeavour were his two equally ardent brothers, Kailashpat and Lakshmipat, who assisted him by shouldering responsibilities in great measure. With that, not only were the three able to manage the business empire that their father Kamlapat had bequeathed them but also build further upon it to make it one of the greatest industrial houses that the nation had seen. The brothers’ trailblazing journey to growth and eminence began with Padampat looking to set up a strawboard plant in Bhopal, which was a major collection centre for grain husk and straw in those days. After thoroughly weighing options, the brothers approached the Nawab of Bhopal, whose ardour and support helped them establish Straw Products Ltd in 1940. It was an instant success. Encouraged, the brothers then turned their attention to the princely state of Rampur where they set up JK Rampur Gas Plant, which produced gas from coal, thus providing an alternative fuel for automobiles in view of the acute shortage of petrol created by of the ongoing World War II. The brothers next made a bid for an upcoming plant of the Aluminium Corporation of India in Asansol, which had been put up for sale because of the sudden change of circumstances brought on by the war. Though acquisition of the plant did not prove difficult, what emerged as a real poser was an incomplete plant that neither had the requisite machinery nor the technology to go into operation. It was Lakshmipat’s acquisition skills and assiduous efforts to acquire technological knowhow that saved the day, and soon the plant was up and producing, even if after a series of trials and misses. (Lakshmipat was to later establish a small steel plant, JK Steels, near Rishra in West Bengal, and a paper mill in Orissa.) The brothers’ successful conquest of the east was rounded off with the acquisition of The National Insurance Company, which went on to grow on its own strength and profits to establish branch offices in other cities. During the war years, in view of Indian national leaders agreeing to support the British, Padampat agreed to step up production to meet the needs of the British army. In gratitude, the British honoured him with knighthood in 1943, conferring the title ‘The Knight of the British Empire’ upon him. The following year, the brothers set their sights on a woollen textile mill in Thane, near Bombay (now Mumbai) which was owned by E D Sassoon & Co. 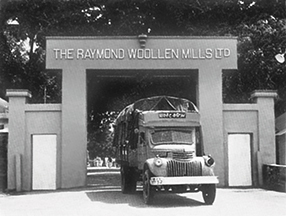 The mill was duly acquired, and with it The Raymond Woollen Mills (as the mill was known) became a part of JK Organisation, marking the beginning of a glorious chapter of the Singhanias’ entrepreneurial history. Kailashpat took charge of this fledgling enterprise, diligently nurturing and enlarging its scope along the way, with which what used to be a modest woollen blanket producing firm slowly inched towards being one of the nation’s largest and premier textile manufacturing companies. In this respect, however, Sir Padampat’s eldest son late Gopal Krishna’s contribution continues to be remembered and cherished. In the years to come, three more companies—New Kaiser-i-Hind Cotton Mills Ltd, JK Files India Ltd and JK Chemicals Ltd—were to be added to the JK fold in the west. 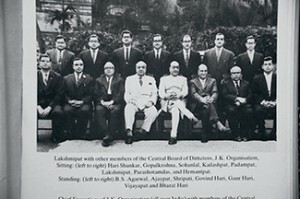 Given the group’s pan-India presence now, it became imperative for the brothers to share responsibilities to manage their sprawling business empire. They decided to do this by allotting region-wise responsibilities, with Sir Padampat looking after the northern zone, Kailashpat looking after the western zone and Lakshmipat looking after the eastern zone. With that, the three brothers parted ways. Kailashpat headed for Bombay and Lakshmipat resettled in Calcutta. The overall control of the business, however, lay with Sir Padampat, who was looked up to as the family head. In 1954, the many businesses and operations of the Singhanias were institutionalised and a board of directors constituted, which was registered under the Trade Unions Act as JK Organisation, a name that is still shared by the different entities of the now-divided JK Group. In the years that followed, JK Organisation diversified into new fields such as rayon, nylon, cement and electronics. Thus, JK Rayon was set up in 1959, in Kanpur, which manufactured artificial silk yarn; India’s first nylon plant (JK Synthetics Ltd) was set up in Kota, Rajasthan, which indigenously manufactured nylon, synthetic fibre, tyre cord, acrylic, polyester fibre and polyester filament; JK Electronics was founded in Kanpur, in 1970, which produced television sets; and a grey cement plant (JK Cement Ltd) was set up in Nimbahera, Rajasthan, in 1974, which was followed by a white cement plant in Gotan. Simultaneously, in the west, Kailashpat and team (which included his elder son Vijaypat and nephew Gopal Krishna) set up a mill in Kenya that manufactured yarn, knitted fabrics and blankets. Sadly, despite all the growth and expansion, the JK Group today is not what it could perhaps have been had everything been hunky-dory for the group. Ever since Sir Padampat had taken over the reins of the family business, a perennial problem that he had to face was labour unrest, especially in Kanpur. It was to later result in the closure of a number of JK factories. A similar scene unfolded at the Singhanias’ aluminium factory in Asansol after the Communist Party of India-Marxist (CPI-M)-led United Front government took office in West Bengal in 1969. Labour problems followed, matters deteriorated and ultimately the factory was nationalised in 1974. Earlier, the National Insurance Company had been nationalised also. Aggrieved by the way things were going, the Singhanias decided to pull out of West Bengal and with that Lakshmipat and his sons relocated to Delhi. They were to later start a tyre factory in Rajasthan (JK Tyre) and diversify into sugar, agri business, dairy products and other fields, which today constitute a `21,000 crore conglomerate. If industrialisation was a top priority for JK Organisation, so was it for philanthropy. From setting up Kamla Nagar in Kanpur—a township for JK employees—to donating generously to social bodies to setting up public welfare institutions, instances that adduce to the Singhanias’ steadfast commitment to philanthropy are many. Among them include commissioning of several medical institutions (JK Institute of Radiology and Cancer Research, Lakshmipat Singhania Institute of Cardiology, Kailashpat Singhania Institute of Medicine and Kamlapat Memorial Hospital, all in Kanpur) and places of higher learning (JK Institute of Applied Physics and Technology, University of Allahabad; JK Institute of Sociology and Human Relations, University of Lucknow; and Marwari College, Kanpur). These apart, Sir Padampat is also said to have played a significant role in establishing the Indian Institute of Technology (IIT) in Kanpur. His role in establishing dozens of primary schools in and around Kanpur for the underprivileged is also well known. The group’s philanthropic initiatives were carried forward by succeeding generations and by the 1970s, a number of schools had been founded in other cities also where the JK Group had a presence. By the 1970s, the Singhanias’ business empire had grown prodigiously to rank as the nation’s third largest industrial house. By then, however, the brothers had reached the twilight of their lives and their sons had taken over. Kailashpat in fact had already passed away, having breathed his last on June 14, 1969, in Mumbai. In 1972, it was Lakshmipat’s turn to bid farewell to his earthly abode. Sir Padampat was diagnosed with leukaemia which finally claimed his life in 1979. Interestingly, all the three brothers had come to this world in quick succession and they also left it in quick succession, as if bound by a common fate.To immortalise their contributions to the Indian industry and towards humanitarian causes, commemorative postage stamps were issued by the Government of India in honour of Sir Padampat Singhania in 2005 and Lakshmipat Singhania in 2010. In 2010, a commemorative stamp honouring their father, Kamlapat Singhania, was also issued. The Singhanias still rank among India’s top industrialists with scores of businesses owned by the descendants of the now divided JK Organisation. Among these include textiles, tyres, paper, cement, dairy products, insurance, power, defence and aerospace, to name a few, whose combined turnover runs into billions of dollars. Theirs is a shared legacy that few among the highly prosperous Marwari community or in the rest in India can match, not to speak of the immense contribution they continue to make as torchbearers of national growth, just as their forefathers had before them.